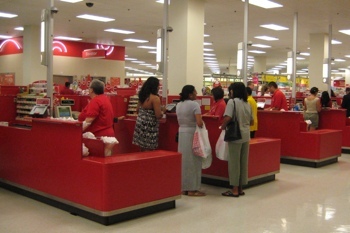 Last year’s 'Holiday Hack' of 70 million Target customers may be the beginning of a new trend in crime. The Federal Bureau of Investigation put out a report this week suggesting that “POS (point-of-sale) malware crime will continue to grow over the near term, despite law enforcement and security firms’ actions to mitigate it,” Reuters reveals. According to the FBI, software required to steal your credit card numbers from a retailer’s POS terminal is readily available on the black market. The price tag for the malware can be as high as $6,000. But given that a truly successful hack could mean a million-dollar windfall, the government worries even more sophisticated viruses are inevitable. “Everybody we work with in the retail space is scared to death because they don't have a lot of defenses to prepare against these types of attacks,” Reuters News quotes one cyber security expert as saying. And if gigantic retailers like Target and Neiman Marcus (1.1 million hacked) can be successfully targeted – companies you’d think would have significant resources devoted to security – smaller retailers may be even more at risk. Given the news, it’s important that us consumers pay extra attention to our bank and credit card statements going forward. Hacked retailers tend to be slow to reveal information, and often initially understate the severity of the attack. Should you become a victim, remember that you’re not responsible for paying for fraudulent charges in your name. You will need to take steps to report them in a timely manner. You may also want to subscribe to a credit monitoring service that warns you of suspicious activity and new accounts created in your name.